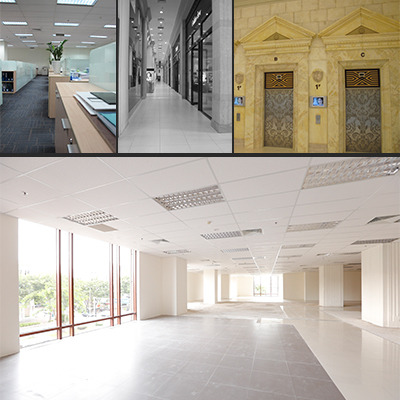 Saigon Paragon Office from 01st Floor to 10th Floor, the office areas are well-equipped with luxurious interior designs and are complete with a plethora of amenities such as 2 escalators, 6 elevators, and modern air conditioner system to complete the office facilities. Moreover, the fresh natural surroundings create an atmosphere of purity and ambiance to make your workday enjoyable and pleasant The best location for trading, banking & financing companies and corporations to set up their offices and business. Saigon Paragon the deluxe office building. Aptly called a Paragon of Saigon, the Saigon Paragon Complex Building is growing irresistibly attractive to leading businesses that yearn for high-quality office space. Saigon Paragon is the first buiding in Phu My Hung, new development area, district 7, that possesses high standard architectural and M&E feature in the best environment of Ho Chi Minh City. Tenants shall enjoy the 2,000-sqm floor plate.